hey, i'v been having some trouble and I just can't fix it, no matter what I do I followed your tutorial for making my own character mod and I even looksed up how to do a DST character but it still doesn't works. please help me its driving me nuts.. It's also probably a style thing. At this point, making anthropomorphic characters is my style. Why not? It's good to put variety in characters. "I'm a squirrel! Just a normal, fluffy squirrel. But...why do I have these memories of being something else?" 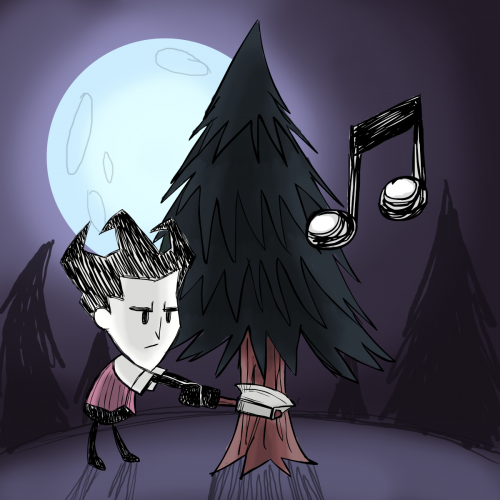 Version 1.1 Don't Starve Vanilla, Reign of Giants, and Shipwrecked Version 1.2 Don't Starve Together This mod adds Ron as a playable character for Don't Starve and Don't Starve Together. STATS Hunger: 150 Health: 250 Health Absorption: 50% Sanity: 100 JINX The mod adds a jinxing mechanic to the game, in which completing various tasks, such as mining a boulder or picking a berry bush, can trigger a hostile creature spawn, or even an ambush event. Most jinx effects will result in the player taking damage easier. However, Ron has increased health and defense to balance this out. The jinx can also affect nearby players and entities that are not protected with luck-giving items. The jinx itself can be hindered if the victim is protected by luck. The jinx also changes and adds new behaviors to the game. The most common effect is hostile mobs having a preference to the victim over other entities, along with having an increased targeting range. Spawners are also affected. For instance, spider dens have a tendency to spawn a tougher variant of the spider, the spider warrior. Also, meteors will target the victim, accompanied with aggressive frogs. Ron can also build a doll of himself, called the Jinxed Doll, that retains his jinxing effects. Its usage includes being an alternative target for hostile mobs, or allowing characters other than Ron to experience the jinx's effects. LUCK Clovers are the main way of combating Ron's jinx. 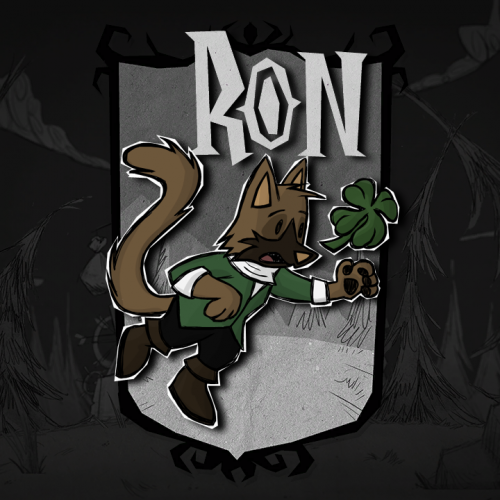 Ron has an increased chance to find clovers over other characters, making him efficient at clover hunting. A number of luck giving items have been added to the game, most, if not all, requiring clovers as crafting ingredients. These items have the ability to prevent the jinx. ITEMS Jinxed Doll Ron-specific recipe Recipe: Beefalo Wool x4, Catcoon Tail, Wet Goop x4 Gives bad luck when held in inventory. Prefered target to hostile mobs. Clover Found randomly picking flowers, cave ferns, and tumble weeds, and chopping trees. Clover amulet increases chance of finding. Increased chance to be found by Ron. Increased chance to be picked in rain or spring. Increased chance to be picked every seventh day. Prevents jinx when held in inventory. Olives Found randomly picking berry bushes and tumble weeds, and chopping trees. Clovers increase chance of finding. Increased chance to be found by Ron. Increased chance to be picked in summer. Potted Clover Requires Science Machine Recipe: Cut Stone, Clover Protects an area from jinx. 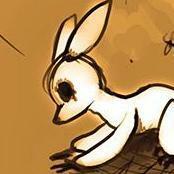 Marble Clover (Don't Starve) Requires Alchemy Engine Recipe: Marble, Clover Protects an area from jinx. Fireproof. 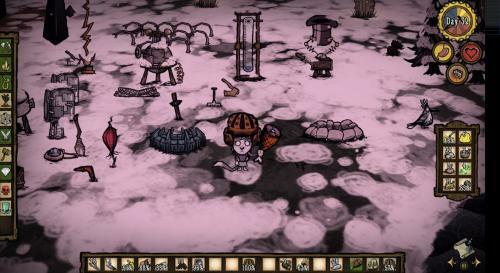 Obsidian Clover (Don't Starve Shipwrecked) Requires Alchemy Engine Recipe: Obsidian x3, Clover Protects an area from jinx and volcanic meteors. Moonrock Clover (Don't Starve Together) Requires Alchemy Engine Recipe: Moon Rock x3, Clover Protects an area from jinx and meteors. Clover Amulet Requires Prestihatitor Recipe: Gold Nugget x3, Clover Prevents jinx when worn. Increases chance to find clovers and olives. Guardian Amulet Requires Prestihatitor Recipe: Gold Nugget x3, Clover x3, Moon Rock Transfers damage of nearby players, followers, and companions to wearer. 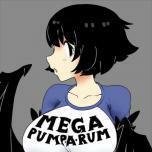 40% damage absorption. Wearer becomes a prefered target to hostile mobs. Peace Amulet Requires Prestihatitor Recipe: Gold Nugget x3, Clover x3, Olives x3 20% damage absorption. Wearer becomes less targeted by hostile mobs. Wearer's damage reduced by 50%. Leprechaun Hat Requires Prestihatitor Recipe: Gold Nugget, Clover x4, Silk x4 Prevents jinx. Gives chance to randomly find gold nuggets. @rons0n, it looks like the x and y pivots were mistakenly defined in the animation data. I usually delete those, but for some reason Spriter added those back in. I will delete them again. The DST version will be worked on once Reign of Giants gets added. 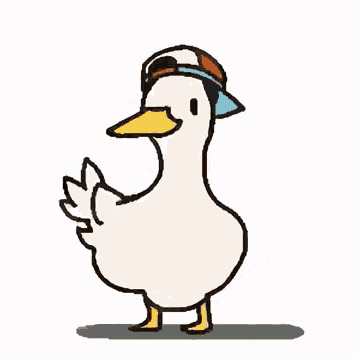 EDIT: Done. You either have to change the pivots in the scml's text, or change the eye's position in the png. Moving parts directly in Spriter will not work. Face 14 is the skeleton eyes, seen when getting struck by lightning in RoG. Face 23 seems to be an unimplemented emote. I have come up with a backstory of how she came to be, which parts are hinted by her in-game quotes. Her story involves a mechanization project malfunctioning and endangering her pack and destroying food sources. She had to resort to eating energy plants, which changed her. I would try to add a backstory of how she ended up in Maxwell's world, but I'm afraid of butchering DS lore.